All text and graphic material on this site are copyrized and not allowed to be used without the written permission of Relico Japan. Thank you for visiting Yusoku.com. 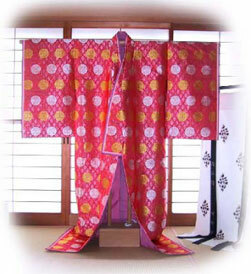 YUSOKU is a format, knowledge or study of class, architecture, furnishing, costume, meals and banquet. See Lineup page for details. 2013/07/04-/07:Exhibit at Japan Expo Paris 2013. 2008/06/16:Special Offer & Furnishing Goods was updated. Yusoku.com is operated by Relico Japan, e-commerce department of Saito Senshoten, Kyoto, Japan. ©1999-2013　Relico Japan, Saito Senshoten All Rights Reserved.